She claims to maintain her willowy figure with starvation and perspiration (not something we recommend). The real secret is when not working, Courteney doesn’t eat and takes classes in power yoga, so she’s continuously moving, working up a great sweat. Plus, her nervous energy is likely a great energy burner and is key to her captive charm. The truth about height continues. Mystery surrounds Courteney Cox’s true height. Courteney once said on the Tonight Show (with Jay Leno,) “I believe that my height, 5’6″…I’ve never been 5’6″. I’m 5’5″, I just lied the whole time.” Friends Star Jennifer Aniston, told Rolling Stone magazine in 1999 that “I’m 110, I’ve been 130, and I’m 5’5″.” There was some silly rumour a while ago that Jennifer went on a special exercise program and gained 2 inches in height…I’d love to know where that rumor originated! She’s also said in an interview she’s ‘5ft 4″ and 3/4″. Lisa Kudrow once said, “I’m 5ft 8in and they are about 5ft 4in but the directors always put me in heels” As you can read stars are not so truthful about their height. 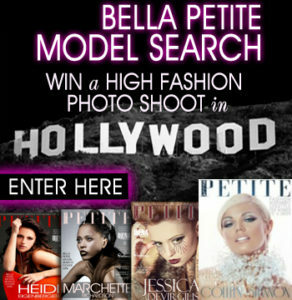 Someday Bella Petite pledges to have the stars put to the measuring tape test! As an educated guess Courteney Cox is likely 5’3″, and how great it is! By the way, Sheryl Crow’s height is purportedly 5’1″ and she’s in the picture to the left with the cast of Friends. Admittedly, I was a Friends fanatic, but am not so sure about Cougar Town. Too many cliches and negative commentary about age for my taste. Nowadays 40 is considered the new 20’s and guys are extremely attracted to beautiful women in all age groups. The show gets tedious portraying a 40 year old female as unreasonably old and decrepit, which is pretty ludicrous. Maybe we should turn to Ashton Kutcher for his opinion about his gorgeous and petite wife Demi Moore age 45 (fifteen years his senior). Demi doesn’t seem to have any issues keeping up, and they look great together. I say Ashton’s a lucky guy! Ageism is out of Style! Women look great at any age! In her personal life, Courteney is a great example that women look fabulous at every age and David Arquette’s another lucky guy! In case you didn’t know, David’s also Courteney’s junior by eight years! These days, men are realizing they’re lucky to be with women of this caliber at any age, and I’d imagine it’s a challenge for them to keep up! Next Prospere Magazine Profiles Bella Petite’s own Ann Lauren! Love Courteney she’s funny and tiny too! This is a cool site, new member forever! I like hearing I’ve got a new member for life! Happy you like the site. Keep coming back for more!